The Town of Aurora has been ‘twinned’ with the Town of Leksand Sweden since 1976. Both towns have similarities, including a strong sense of community and a love for sports, but the actual twining agreement was done because of hockey. 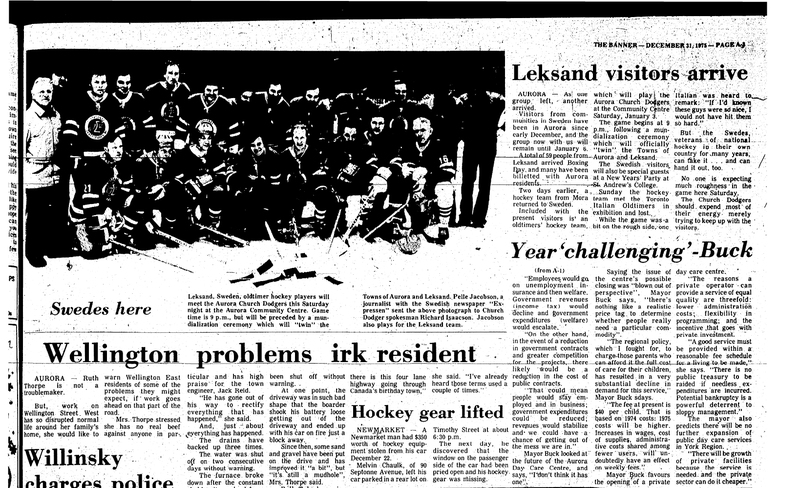 Hockey players from Leksand first visited Aurora in 1971 when Councillor Norm Stewart invited a team to play in a hockey tournament with the Aurora Toyota Midget Hockey team. Since then both towns have shuttled sports and other teams back and forth.